You can login to Redwood Rewards through Online Banking. Once in online banking, click on the Rewards tab in the menu bar. 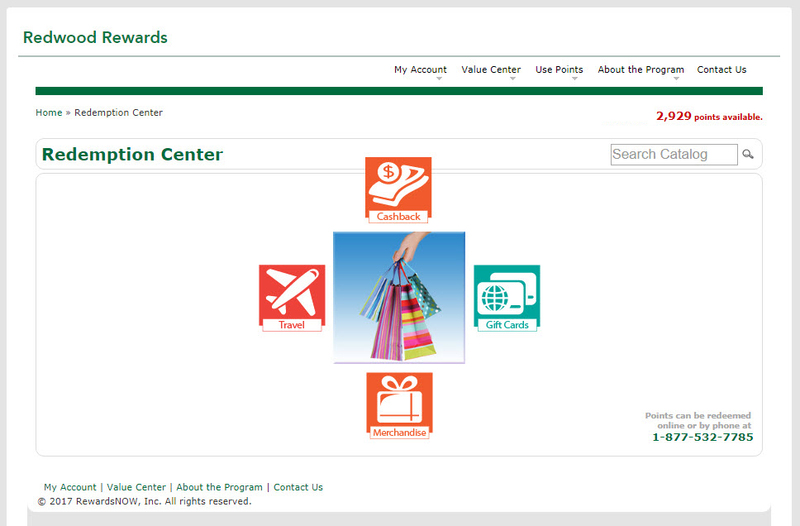 You can view your Redwood Rewards account information and redeem your points by clicking on the Use Points tab.